Be brave and try not to explode. 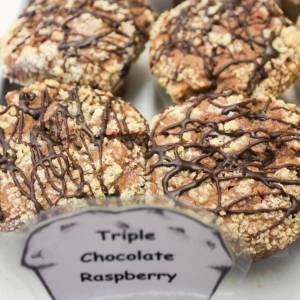 Yes, the word “triple” precedes the word “chocolate” and yes “chocolate” is followed by the word “raspberry”. If they were fatal Frank wouldn’t sell them. So just breathe and between each bite count to 10.